If you have been following me on instagram and snapchat these days you know that I am really loving army green anything these days. This army vest is no exception– which can (as I do here) be worn as a dress. The cut of this dress is very boxy and wide, so if worn with flats, slip ons or tennis shoes like converse this look can exude a more tomboyish vibe. A few gold and black contrast accessories and a pair of heels dress up the casual look making it look more feminine and a little edgy. Style tip* Try this day time look sometime- a simple white or black dress underneath a longer trench army green or even beige trench. Lots of black bands going on in my outfit whether the bold thick straps of the heels or the hermes bracelet and the fitbit bracelet. The choker finishes it off perfectly. I’m a sucker for a trench coat, and this one looks pretty darn cute on you. It’s a great look for spring when it’s not fully warm but you still don’t need anything heavy. Love those shoes also. 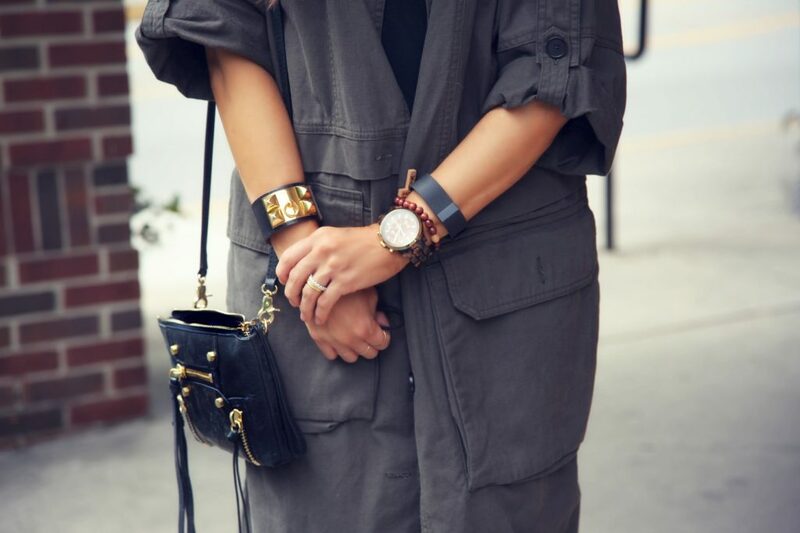 just love this trench dress! looking amazing! I love this look and you make even a fitness tracker look so chic! You are truly one of the chicest moms out there! 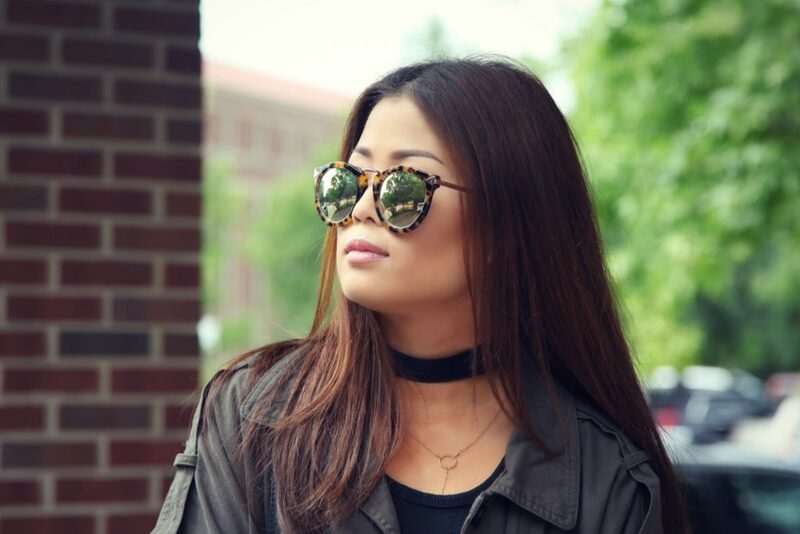 I love the way you’ve accessorized your outfit! Your jewelry is so on point! you are so sweet thank you jo! xo!